Another presidential candidate, Ambrose Oworu, and his party, Hope Democratic Party (HDP), have dragged President Muhammadu Buhari and the presidential candidate of the Peoples Democratic Party (PDP), Atiku Abubakar, to court over the February 23 election. The petitioners are challenging the legality of the election earlier slated for February 16 but later shifted to February 23. Mr Oworu and his party in the petition marked CA/EPT/PRE/001/2019 are praying the tribunal to nullify the presidential election and the declaration of Mr Buhari as the winner. They added that the Independent National Electoral Commission (INEC) has no power under any law to shift the February 16 date to 23. According to Mr Oworu and the HDP, who claimed to have been omitted from participating in the February 23 election, the election was invalid by way of non-compliance with the provisions of the Electoral Act stipulating the conditions under which election can be lawfully postponed. 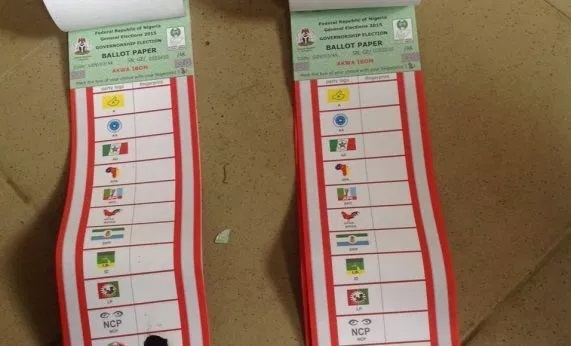 They added in the petition that they were validly nominated for the election, but INEC unlawfully excluded them by removing their names and party logo from the ballot papers. In a way of proving their allegations, the petitioners said they will at the trial rely on laws in support of their petitions to establish that the shifting of the election from February 16 to 23 was without the force of law and powers to do so. 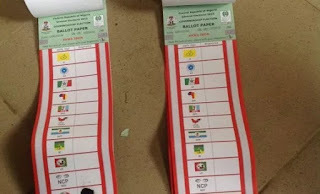 The petitioners also said for INEC to have placed a false version of their registered party logo on the ballot papers for elections, deprived them of realising their political ambition in the 2019 general election. Meanwhile, an ex-parte motion filed by the petitioners seeking to serve Mr Buhari with their petition and other processes is to be heard at the Court of Appeal in Abuja on Thursday. The ex-parte motion filed by an Abuja based lawyer, Yusuf Ibrahim, is seeking an order of the court to serve Mr Buhari by way of pasting the said petition at the Aso Villa Presidential Office, the National Secretariat of the All Progressive Congress (APC) and at the tribunal’s notice board. The ex-parte motion followed an affidavit of non-service deposed to by the Chief Bailiff of the Court of Appeal, Abubakar Mohammed, where he claimed that securities at the reception of Aso Villa denied him access to serve Mr Buhari on the grounds that there is no directive from the president’s office to do that. On March 6, the presidential candidate of the National Rescue Movement (NRM), Usman Ibrahim-Alhaji, dragged Messrs Buhari and Abubakar to court over alleged excess spending on campaigns. Mr Ibrahim-Alhaji is praying the court to invoke Section 91(2) of the Electoral Act, 2010 to nullify the participation of Messrs Buhari and Abubakar in the February 23 presidential election for allegedly violating the Electoral Act 2010. The plaintiff through his counsel, Ezekiel Ofou, is praying the court to set aside the participation of Mr Buhari and Mr Abubakar on the grounds that they spent over N1 billion each as campaign expenses.